A splash of blue to spice up your notes! 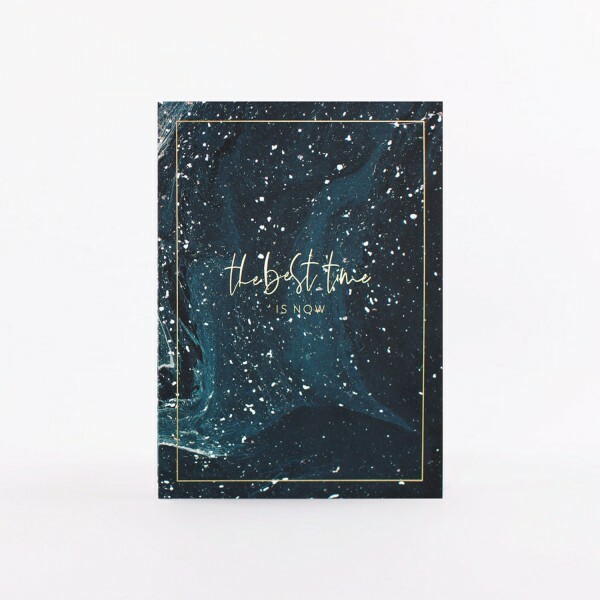 Your workspace has just been upgraded with this gorgeous notepad and its stylish cover with golden foil printing. Write down all your thoughts, notes and to-dos on the A5 sheets and stay organized!